Flatness, parallelism, perpendicularity, roundness to be 0.05mm or less. Swiss type screw machines are used to machine typically cylindrical, threaded parts in high volume, with a wide range of material options. As there are multiple spindles on the machine, most of the work can be done on the machine so there’s no additional machining work required after it comes out from the machine. 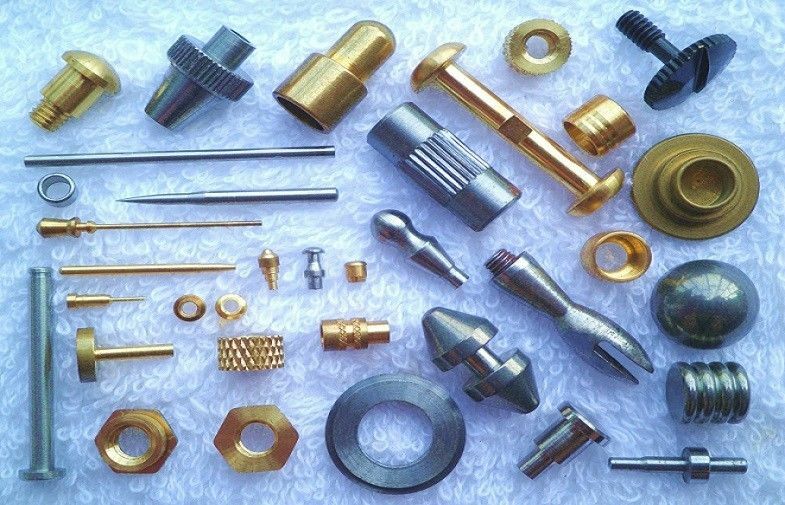 Products like screws, bolts, nuts, bushings, pins, studs etc are using this kind of process. We have state of the art CNC screw machines and the products are very precise. For high volume parts, the material bars can be fed to the lathes automatically, and the machine will do the pre-coded processes and cut the bar one (part) after another. Infrastructure and processing equipments, gear motors etc.